Without print Backlite print incl. 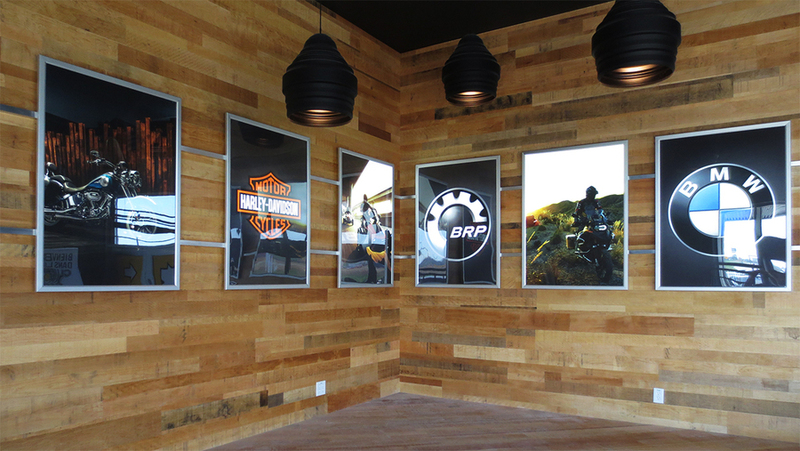 The Print EMEDIA light box is a product that is known to stand out by its elegance and versatility. Whatever its use, this ultra slim design of only one inch thick will blend into your decor while enhancing your image. 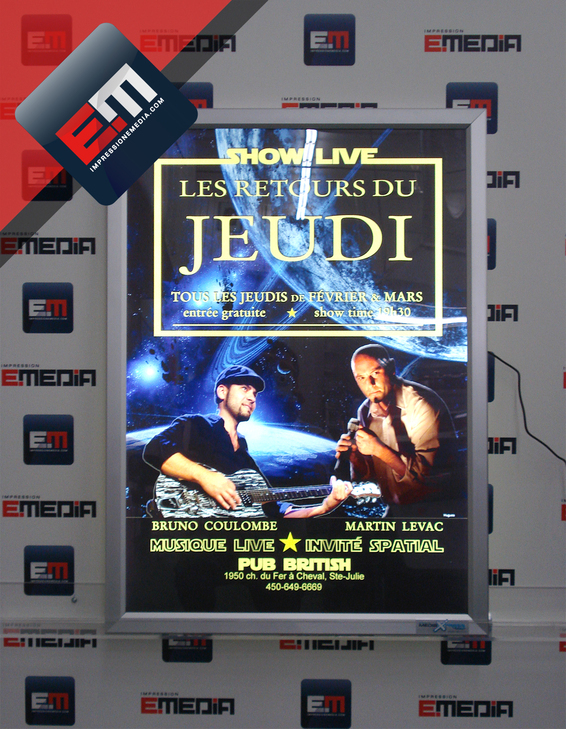 The Print EMEDIA light box consists of a aluminum frame and of a LED backlight. This system enables energy savings compared to the old fluorescent technology. The housing uses a standard power cord. The Print EMEDIA light box is durable and allows for continuous use. In addition, its "click frame" system will allow you to easily change your prints and thus follow the trends as you see fit. 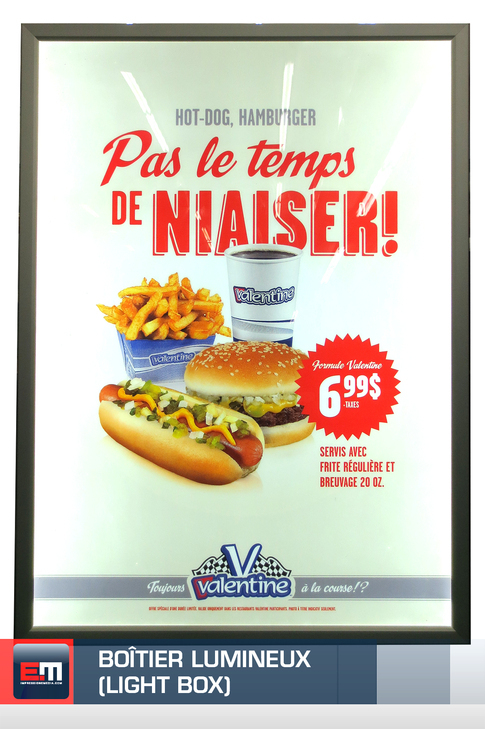 To display your restaurant's menu, advertisement showcases of your business, your monthly promotions, your decorative frames in your showroom, etc.. Get a Print EMEDIA light box at the most competitive price on the web. Please follow the instructions on the template for printing the poster for your light box (Large).